Envirofan specialises in sub-floor ventilation and they still hold to the view that sub-floor ventilation should travel uninhibited and without obstructions caused by flexible ducting and in-line fan systems. 12volt in-line systems are very rare in the Australian marketplace. So it is logical to produce an Australian designed and manufactured product. 12volt in-line systems operated at 12 watts. This would mean that the impact on power resources is much less than a 240volt system which would translate to less green house emissions. The 12volt in-line systems can be solar-powered. There is no need for an electrical license as the unit is low voltage. This would be ideal for the home handyman, pest technicians, plumbers, carpenters and builders. Ventilation solutions are not limited to the sub-floor area only. 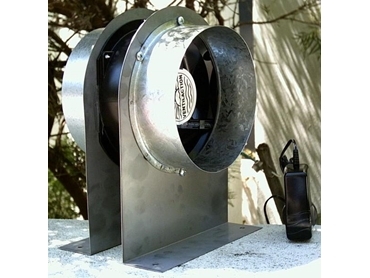 There is a wide variety of applications where 12volt in-line fan systems can be utilised e.g. shower rooms, toilet blocks, storage rooms, fume cupboards, air transfer applications etc.